About halfway through Fleck’s second year at Minnesota his record in conference games is 2-11. His only two wins came last season against two underwhelming teams, Illinois and Nebraska. In nonconference games his record is 6-0, with those victories earned mostly against inferior opposition. Give Fleck, his assistant coaches and players credit for impressive performances in wins over Nebraska and Oregon State in 2017, and this season’s victory against Fresno State. Team defense is now in alarm status. 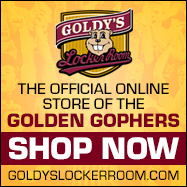 The Gophers were outscored 70-0 in their last two Big Ten games in 2017. In their four conference games this year they are giving up 43.5 points per game including a 53-28 loss to Nebraska last Saturday. Fleck has gone overboard in emphasizing how young his roster is but the starters on defense are primarily juniors and seniors. Despite their experience, Minnesota defenders are often out of position or nowhere to be seen, as they allow opposing offenses to break off long gains. Defensive coordinator Robb Smith, who according to a college football insider was forced out at Arkansas before being hired by Fleck, should be under scrutiny. But the Gophers have to stop giving up easy scores and start winning conference games. The program was 5-4 in Big Ten games the season prior to Fleck’s arrival in January 2017. 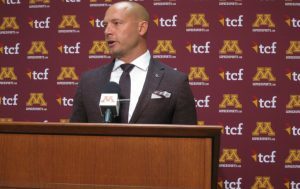 Minnesota had winning records in the Big Ten in two of the three seasons prior to Fleck being hired. The conference totals on wins and losses say the program is going backward. It’s up to Fleck and his staff to soon change that. In ranking all 14 Big Ten coaches (below) multiple factors were considered including not only wins and losses, and championships, but also the difficulty of their assignments. It’s not an even “playing field” when comparing resources at each of the Big Ten programs. Far from it. 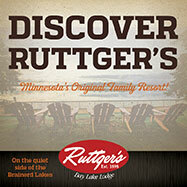 Among the most difficult jobs are Illinois, Minnesota, Northwestern and Rutgers. Places of privilege include Michigan, Ohio State and Penn State. 1. Mark Dantonio, Michigan State. He is a taskmaster’s taskmater whose defenses have allowed the Spartans to overachieve and win for many years. 2. Urban Meyer, Ohio State. He won’t lead any popularity polls nationally, or in Big Ten country, but he’s won every place he has coached and is 77-9 in seven seasons with the Buckeyes. 3. Pat Fitzgerald, Northwestern. Historically not a program with great resources but Fitzgerald is a superb leader and coach who gets the most out of the Wildcats. 4. Kirk Ferentz, Iowa. There is a reason Ferentz has been at Iowa for 20 seasons. He and his staff are masters at identifying under the radar player talent and developing it. 5. Jim Harbaugh, Michigan. Harbaugh failed in three previous seasons to find a quality quarterback but the fiery coach has one now in Shea Patterson and the Wolverines’ coach could be on his way to a first Big Ten title. 6. Jeff Brohm, Purdue. Beating No. 2 ranked Ohio State last Saturday was no fluke. The second-year coach immediately improved a dreadful Purdue program in 2017 and is the real deal. 7. Scott Frost, Nebraska. He is 1-6 in his first season at Nebraska but he was 13-0 at Central Florida last season, and just as importantly comes from a gold-plated coaching tree that includes Tom Osborne and Bill Walsh. 8. Paul Chryst, Wisconsin. Chryst was given the keys to a national top program and in four seasons is 38-10 overall and 25-5 in league games, but the Badgers have occasionally stumbled including a surprise loss to BYU and poor performance against Michigan this year. Maybe he is more of a maintainer than a builder. 9. James Franklin, Penn State. Impressive recruiter who has helped restore the Penn State program but he couldn’t close out big home games this fall against Ohio State and Michigan State. 10. DJ Durkin/Matt Canada, Maryland. Canada is the interim coach with Durkin on administrative leave while the school investigates his program. What is certain is the Terps have recruited successfully the last few years. 11. P.J. Fleck, Minnesota. See comments at the top. 12. Tom Allen, Indiana. A coin flip in ranking Allen behind Fleck. The second-year IU coach is 3-11 in Big Ten games. 13. Chris Ash, Rutgers. He was smart enough to hire Jerry Kill as offensive coordinator for one season in 2017 but Rutgers is one difficult place to coach. In Ash’s third season he has yet to show a lot and is likely to go winless in the Big Ten. 14. Lovie Smith, Illinois. The Illinois job is deeper in resources than Rutgers but you wouldn’t know it looking at the mess Smith has contributed to in three seasons. The former Bears Super Bowl coach has a league record of 3-18.